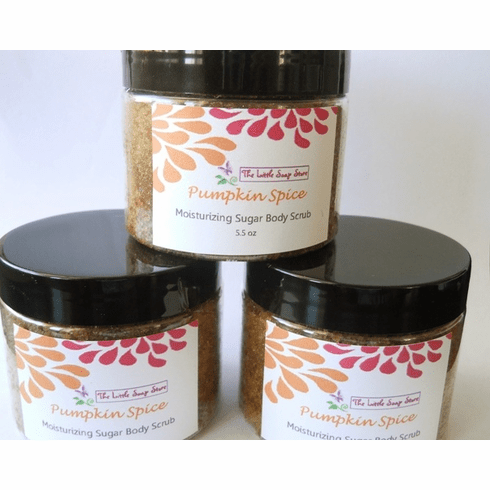 Add our Pumpkin Spice body scrub to your line of go-to fall products. This scrumptious sugar scrub is scented will fall notes of spiced pumpkin and sweet sugar. This hand-crafted scrub can be used on both hands and body. Made with brown sugar and 5 skin-loving oils, it will remove unwanted dead skin cells, brighten skin, and deeply moisturize. Weighs approximately 5.5 oz. Ingredients: brown sugar, sea salt, avocado oil, olive oil, almond oil, apricot kernel oil, grape seed oil, fragrance.